Autumn has a bad reputation these days. Beloved by basic girls across the nation for "sugar and spice" coffee and endless sweaters, it's now considered unoriginal to obsess over fall. But let's be real, there's a reason we all love the time of year. It's a chance to get cozy and back into the swing of school, which leads me to my point: fall is the perfect time to catch up on that reading list you've been putting off! The short story collection doesn't come out until October, but I can hardly wait! I never have time to read during the school year, but I'm going to force time for this one. Jeffrey Eugenides is my favorite author. His three novels, The Virgin Suicides, Middlesex, and The Marriage Plot, are incredible and each so original. Eugenides’ characters are anything but cookie-cutter, yet they’re always relatable. This new collection of stories is sure to be just as amazing. And short stories are great! You can read them at a slow pace without ever losing momentum. Pick it up when you have a spare ten minutes, then return to it a few weeks later. I'll admit this one is personal, since I interned this summer for the agency that represents Gabriel. But the book is being praised by Stephen King, and NPR described the novel as "hard to read, harder to put down." It tells the story of Turtle, a young girl trying to escape from her abusive father and their reclusive life together. In the first ten pages, it's easy to see what a powerful heroine Turtle will be. She’s fiercely loyal, but also determined to take control and change her life for the better – the kind of girl we should all look up to. Our girl HRC tells all in this insider portrait of the 2016 election. She's been criticized for dragging out the negative feelings of the election, but here's the thing: we're never going to get over the confusion and pain it caused. As the one who it happened to, she has every right - I would even say is obligated to - tell her side of the story. As Michelle Ruiz says in an opinion piece for Vogue, “condemning misogyny whenever and wherever you see it, in a forum as public as possible, is the precise way to fight it.” So pick this one up if you're looking for something that will motivate you to go out and help change the crazy world we're living in. This poetry collection is both gorgeous and disturbing at once. I read almost the whole thing in one sitting at a bookstore, it's that good. 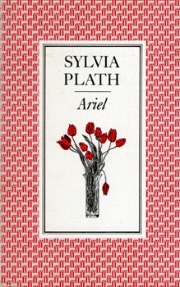 Plath is well-known for her semi-autobiographical novel The Bell Jar; if you liked it, you’ll like her poetry too. She explores many of the same themes in all of her writing. The imagery is subtle, but she hits the hardest topics for young women: abusive relationships, femininity, motherhood, the struggle for independence. The collection is a great look into the mind of the troubled writer, and the poetry is different than what you were forced to read in high school English. It'll really make you feel something. Okay, it's a beast. And I was supposed to read it for class, and definitely did not (hoping my professor doesn’t find this). But I did get about 350 pages in, and it was amazing. What's off-putting: the names are hard, and Tolstoy has created so many different plot lines that it's incredibly easy to get lost. Trust me, though, after a little while, you get used to the style, the stories are compelling, and it's impossible not to feel invested in the characters. Russian high society is decadent, and there's romance and battle and political manipulation. What more do you need out of a novel? If you're ready to tackle a big project, take on this classic. So head to your local independent bookstore and pick up one (or all!) of these for some fall reading that's both enjoyable and will make you see the world differently. The best kind of book is the one that makes you really think, so challenge yourself to break outside your reading comfort zone. And use a book to enjoy all that autumn has to offer, chunky knits included! Hi!! My name is Rosemary - Rosie for short - and I’m one of Gold Hand Girls’ new bloggers! I grew up in Tulsa, Oklahoma, but moved to Indiana to study at the University of Notre Dame. Of all the things in the world, I love reading the most, but after that probably comes anything sweet (see picture for proof). I’m beyond excited to be writing for Gold Hand Girls. Spreading support for creative girls is so important to me, and I’m thrilled to be part of that mission. Stay tuned for posts on cool girl bands, books, and more! Annie Kate is a magical realism writer, memory-preservation poet, and visual artist currently residing in Tulsa, Oklahoma. She is fond of reminding others of their inherent lightness through her triad of traits. You can find her hiking very small "mountains" in Tulsa, riding her bike around town with her beloved partner, inventing a questionable new recipe in her kitchen, or taking a catnap in a patch of sunlight.